Like many of you, every Monday I make a new set of goals – get to the gym more, diet, do more housework – you know, the usual suspects. And like many of you, I am never 100% successful in all my endeavors. No one is! For this week, as I prepare for my best friend’s wedding, I decided that getting to yoga first thing Monday morning would start me off right. I seriously thought about not going this morning, hit snooze, avoided getting out of bed until the very last minute. I got dressed though and hopped in the car. I got to the yoga studio to find that Monday’s is “alternate side of the street” parking day in that neighborhood – so parking was going to be next to impossible. I had about given up and started planning my egg and cheese sandwich on a croissant that I was planning to have instead, when the universe opened up a parking spot for me. I had about 2 minutes to feed the muni meter and get up the flight of the stairs to the studio. I booked it and when I go the door and saw that the door at the top of the stairs was still open – I realized – I made it. No going back to sleeping in and egg and cheese on croissants! It was a great class and I often find myself struggling through it while thinking about “when is the soonest I can get back to class?” There is something about this yoga that really gets you addicted. 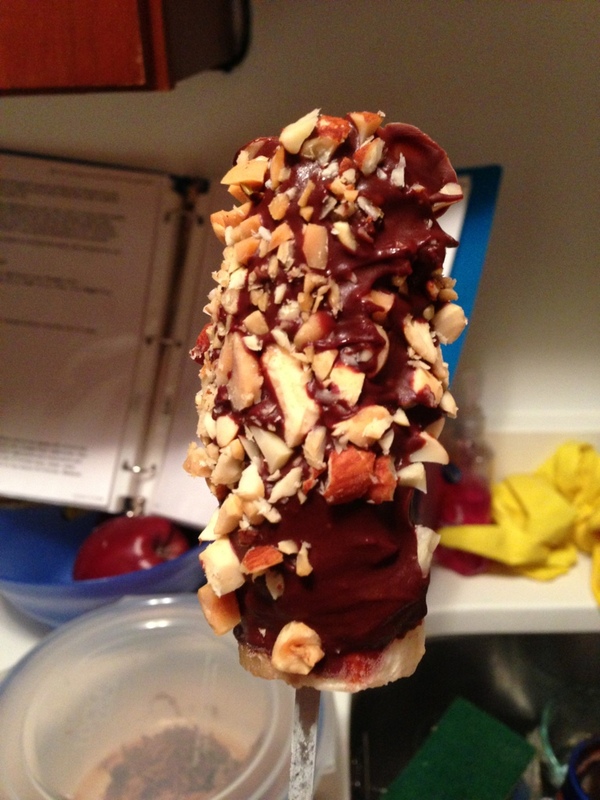 It’s a better addiction than the recent “Magnum ice cream bar” addiction, I can assure you! When I returned home I decided (as yet another Monday resolution) to make myself a healthy low-carb breakfast. I ended up with something lovely! 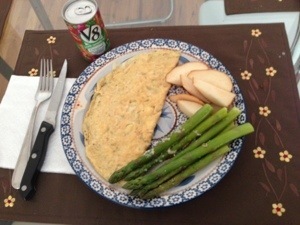 Two egg omelette with dill and mozzarella cheese, crispy asparagus and a juicy sliced pear. I sat down to eat and took a look at my plate and it made me so happy to see that it was 2/3 full of fruit and veggies. 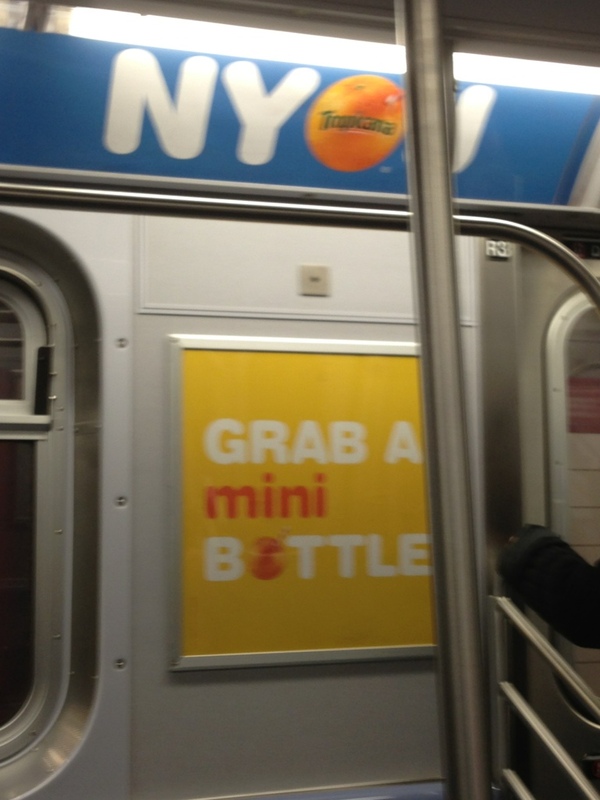 It’s very easy to pour a bowl of cereal, or to pick up an egg and cheese sandwich at the corner deli. It takes some effort and time to create something healthy for yourself and for your family. This is what I am dedicated to. Not just for weight loss, but for health. As I ate, my son sat beside me nibbling on the pear and asparagus which he devoured as much as you can with only 5 teeth. It wasn’t from a package or a tin – it was something I made and fruit that I picked and sliced. As the rest of the day went on I continued to eat well and even made pumpkin muffins so that I can still fit in a treat. Now off to the store for the ingredients to low-fat cream cheese icing – which I will make myself. I think that I’ve definitely started the week off right and it really feels good! 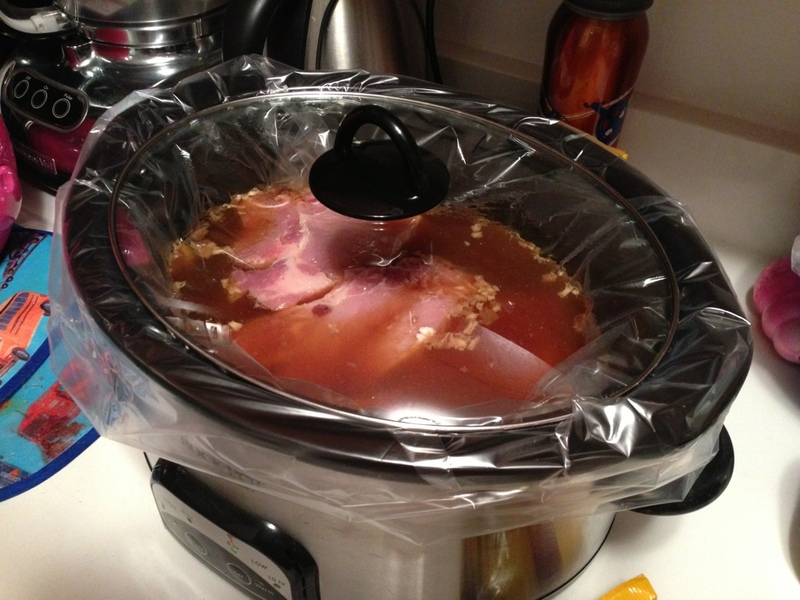 Trying out a recipe I read on Facebook in the slow cooker today. Pork chops on low for 8 hours so I had to get started early. I’ll keep you posted on the results! 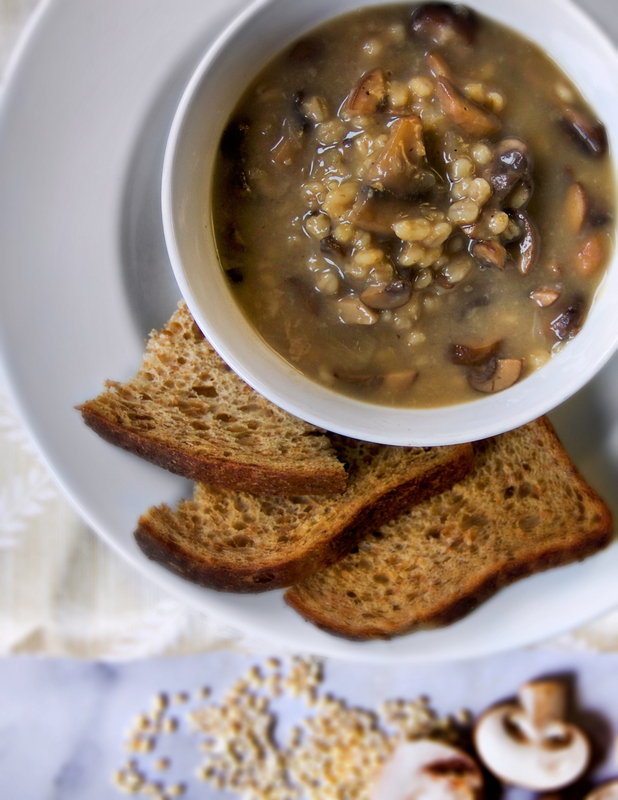 Ok, if you love mushrooms and you love soup then you want to make this recipe. It’s a soup my mother-in-law taught me last year when I was on maternity leave and had time to make soups! Seriously, it’s very easy and yields many servings so I usually freeze half and enjoy the rest all week. I make it even easier by using the pre-sliced mushrooms. We had some last night before dinner and it was full of flavor and very filling. Instructions: Saute onions (with a dash of salt) in olive oil in a large pot until they are translucent, add garlic, let saute another 1-2 minutes, add mushrooms and saute for 5 minutes or until all the mushrooms are softening. Add pepper if desired. Add 8 cups of water and Osem Mushroom Soup mix and bring to a boil. Once boiling, reduce heat to a simmer. Add barley, let simmer on low heat for 30-40 minutes until barley is soft. Should make at least 8 servings. Enjoy! Thankfully, 2 weeks ago a friend invited me to a “Rock n Roll” yoga class. It wasn’t a form on yoga that I was familiar with, but I like music and figured I had nothing to lose. So I went to my first yoga class in a long long while. It was fun! I really liked the idea of yoga to music, though I felt like I didn’t really get the type of workout I am used to at Bikram Yoga. There were several poses that I didn’t know and more than a few times that I was cursing “downward dog” and my ridiculously weak wrists. All in all, I got myself in the door and that is success in it’s self. Plus I tried something new and scary. The following week, I went again. Still a bit rusty and I still didn’t know what was going on half of the time. But it was perfect for me because it really worked well in my schedule since it starts at 8:55pm at night (after my little one’s bedtime). After 2 of these (what I like to call) “pansy” yoga classes (compared to Bikram! ), I finally got up the courage to get back to Bikram today. My in-laws babysat and I made sure to go to my favorite studio with my favorite teacher. I was hemming and hawing (sp?) all morning about going. Thinking of 100 other things I could be doing with that time. But no, I lined up the babysitters, so I’m going. I have to admit I thought about taking a nap in my car rather than going to yoga but decided that I’d NEVER feel better after that. Especially if I’m woken by a cop! (Why is this yuppie girl asleep in her Honda Accord at 3 in the afternoon??). Once I finally got to my mat and entered Savasana, I had a thought, “I’m home.” The minds says amazing things when you clear space for it to breath. I cleared the space by getting an early start and committing to completing my grocery shopping and starting on my weekly cooking before yoga, and it worked! I had less excuses to make to myself and I felt like at 3pm, I’d already accomplished a lot. Plus, my son was able to spend time with his family while I was at class. A true win-win. Class was great, it was tough and satisfying and even easy at some points. It makes me realize that I’m not starting from scratch just because I haven’t been there in 2 months. I still have the skills and the knowledge that I need to be successful. I guess the same is true of Weight Watchers. I’m not “starting over, yet again” every time I go back. I’m just hitting the play button instead of pause.